Another November has come and this can only mean cold weather, Thanksgiving and the annual Pacific Region Conference (PRC). 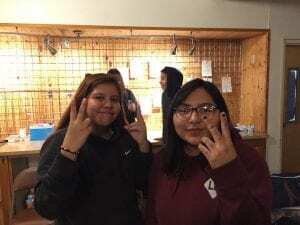 The Sioux YMCA has been taking groups of teens across country to this conference at YMCA Camp Seymour in Gig Harbor, WA for five years now, and it always is an amazing experience for everyone. 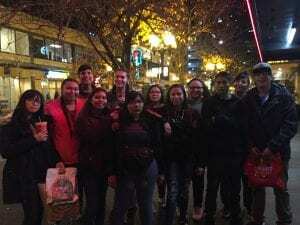 This year a bus load of 10 teens left the Sioux YMCA early in the morning last Sunday for the 28-hour drive to Seattle, where they spent a few days giving back to the community sorting clothes at a homeless shelter and doing a little sightseeing in Seattle. They will then head to PRC for four days of bonding with cabin mates and delving deeper into who they are and the incredible potential they all have for their futures. This year like most, the youth were nervous and wanted to leave for home the first day and night of camp. The first full day on Saturday starts off with a cabin session which helps the youth get to know each other better and help them get comfortable with the deeper conversations that will follow later. The rest of the day is packed with groups games and 2 more cabin sessions before a dance that night which the Sioux YMCA youth always are the last ones dancing. Sunday the last full day has 2 more cabin sessions one where you join with another cabin and do some big group activities before the really in depth closing cabin session which will have the youth opening up and really discovering things about themselves which they might never have seen before. That morning is a youth led session with songs and any other talents the youth might have. So that morning the Sioux YMCA youth decided to honor their friend Wyatt Belt who passed away not to long ago and who came to PRC last year and loved his time their so much. They got in front of everyone as his obituary was read and nice words said in remembrance.